Stay 4 nights or more in Mid Season and get 10% off. Stay 3 nights or more in Low Season(June -August) and get 20% off. 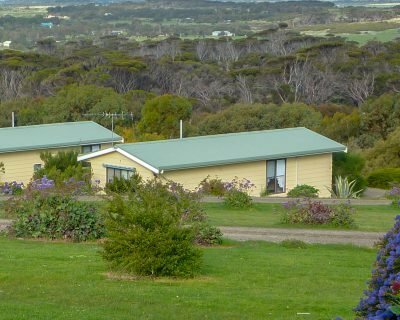 Bayview Apartment is part of the Emu Bay Holiday Homes complex. It is attached to the main house of Amani, but well sound proofed with private patio and separate parking area. It's elevated position and large sliding doors offers amazing views over Emu Bay and surrounding farmlands. The birds love the birdbath just in front of the apartment and is a true bird lovers delight. Excellent central place to stay – beautiful views, all very enjoyable. Easy to travel around to all the special places to see on Kangaroo Island. Beautiful views here. Great to just sit back and relax. Loved the ease of access in the rooms to coffee, tea. We really didn’t need to unpack ours. The stay was so amazing that we are now engaged. Thanks for the hospitality. Wonderful!! I loved it. Would like to stay longer on my return. Lucy's food was delicious. 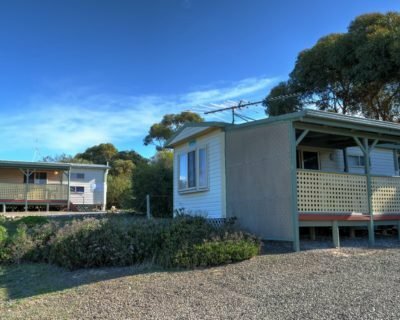 Located on the sheltered beach of Emu Bay, Kangaroo Island, Emu Bay Holiday Homes offers a selection of affordable holiday accommodation options, all fully self-contained. Each unit has its own unique sea views of the bay and surrounding rural landscape. 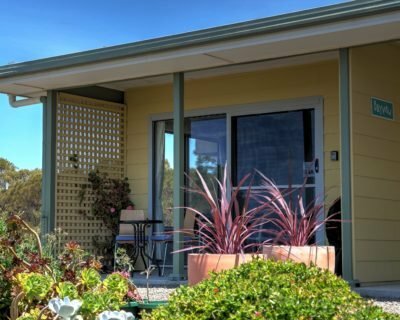 The spacious peaceful property with extensive gardens attract a variety of birds, koalas and local wildlife. From Rustic Park Cabins to 3-bedroom Holiday Homes, we aim to cater for budget accommodation to spacious well equipped homes. The coastal settlement of Emu Bay is perfectly situated for day trips to all parts of the island including Kingscote, the largest township, only 15 minutes away and the Penneshaw ferry terminal a 45 minute drive. 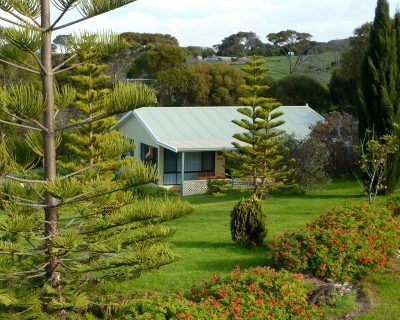 Centrally located to Kingscote the accommodation makes it easy to stock up on supplies and dine and visit iconic Kangaroo Island attractions including Admirals Arch, Remarkable Rocks, Seal Bay, Kelly Hill Caves and plenty of local wineries, galleries and beaches.